Entertainment was never in short supply with performances from Matt Duplessie, uNi, Culture Vulture, Brightside, and Omingnome just to name a few. 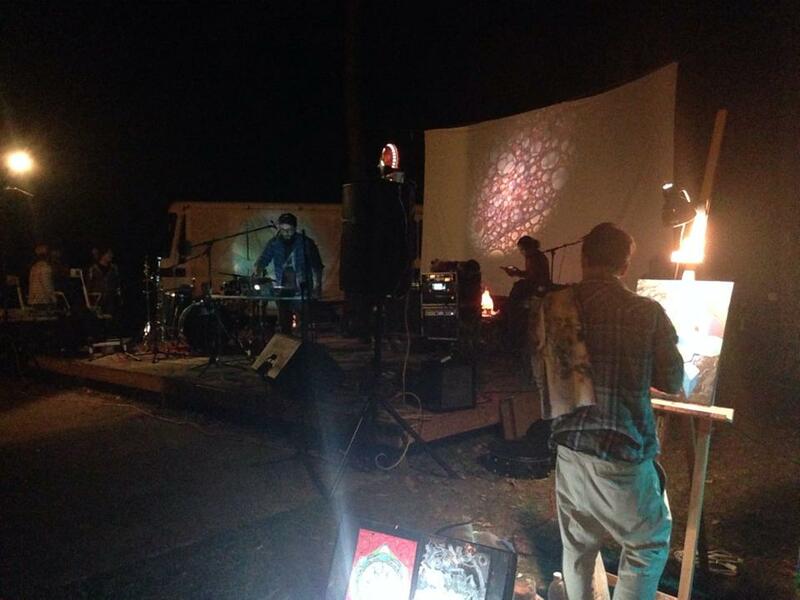 Live painters and vendors also added to the accepting artistic vibe. With a huge bonfire, good eats and beautiful campgrounds, the up-and-coming concert venue/recording studio, Brainiacs, was put to good use. “I think it was just a taste of what this community has to offer and what is to come,” attendee Sierra Schell said. The event’s purpose was to bring the community together and spread knowledge, and this was only the beginning. Brainiacs is a 10-acre venue in Statesboro, Georgia that doubles as a nighttime hotspot as well as a retreat park during the day. The property offers visitors a comfortable, homelike feeling with a rustic outdoor setting including a lake. They offer property rental, multiple stages, studio time in their on-property professional recording studio, fishing pole rentals, multiple billiard tables, numerous campsites around the property, a vinyl record player, a huge hi-def projector viewing room and good vibes all around. Brainiacs ensures that big things are happening for the region’s music and art scene. With laws of Savannah prohibiting those under the age of 21 from participating in the music scene downtown, places like Brainiacs are a valued treasure. “Many people vocalized to me how they were really excited about all the momentum around the growing music and art scenes in the area,” Alan Wood said. With its central location and welcoming nature, Brainiacs is the next big thing for people of Savannah, Statesboro, and surrounding areas.